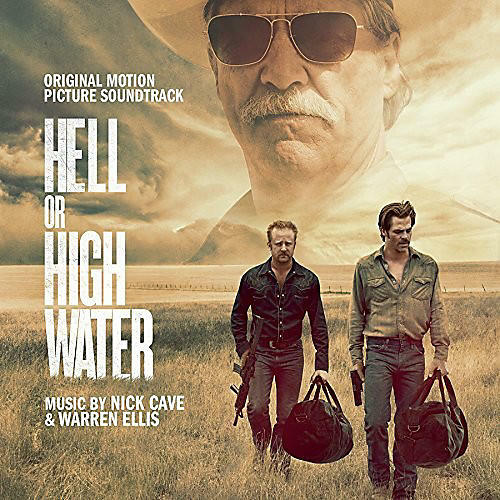 Nick Cave - Hell Or High Water - O.s.t. Release Date:12/09/2016;Notes:Vinyl LP pressing. Directed by David Mackenzie Hell or High Water is a heist film starring Ben Foster, Chris Pine and Jeff Bridges. Based on the infamous 2012 Black List script, the film is set in West Texas, in an area formerly known as Comancheria, and tells the story of two brothers who plan a bank robbery to save their family farm. The film was extremely well-received during it's Premiere at the Cannes Film Festival in May. Critics praised and applauded the film's archetypal Americana, along with the memorable performances of it's main protagonists and the composers' moody and minimalist score. Nick Cave of the Bad Seeds and his musical partner Warren Ellis deliver a ravishing score perfectly fitting the dry and arid landscape in which the characters strive to survive. The soundtrack album also includes Sleeping On The Backtop (Colter Wall), Outlaw State Of Mind (Chris Stapleton) and many more country music infused titles.